It’s summer! 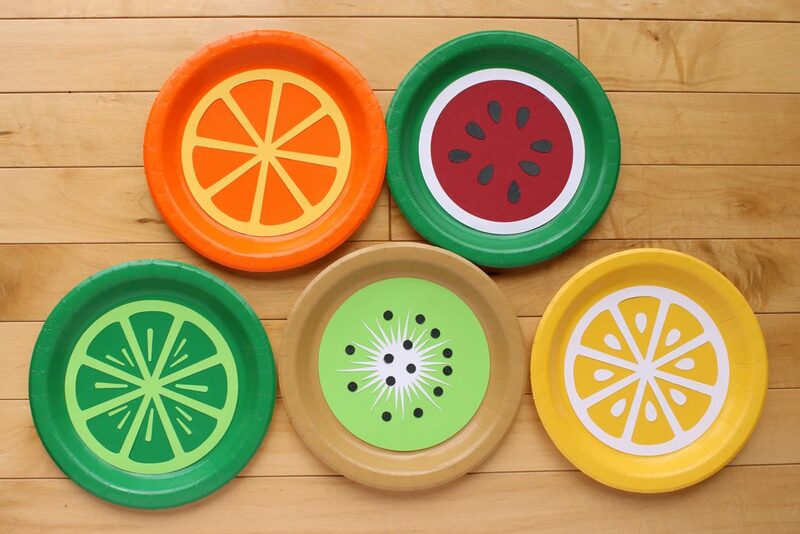 Bring on all the summer salads, cold slices of watermelon and late nights outside catching fireflies! 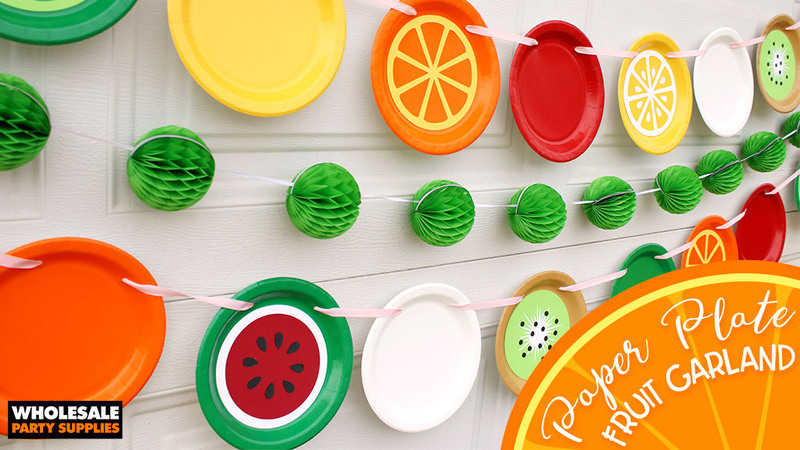 Whether you’re throwing a bright summer luau or a tutti fruity themed neighborhood block party, this fruit paper plate garland is the perfect addition to your visual decorations over the dessert table. 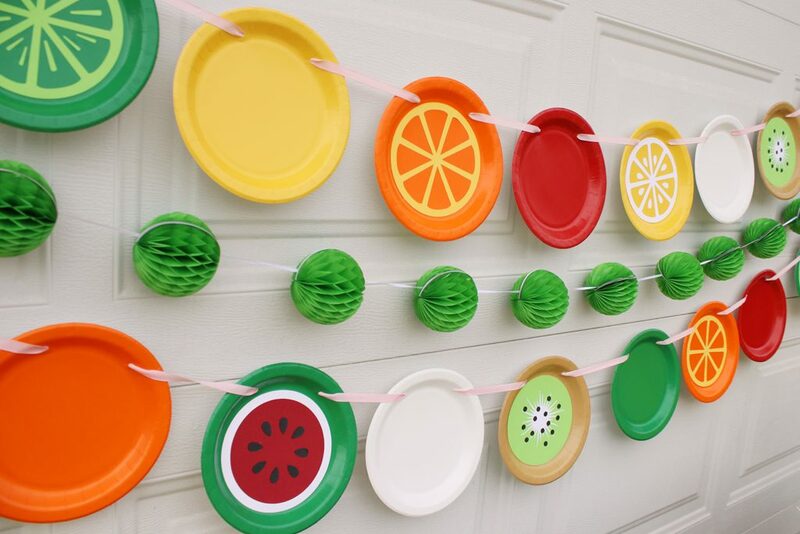 Mix this plate garland made with our free fruit design template with colorful honeycombs and a string of pineapples to create unique DIY décor. This post was written, styled and shot by Tara at Spot of Tea Designs. 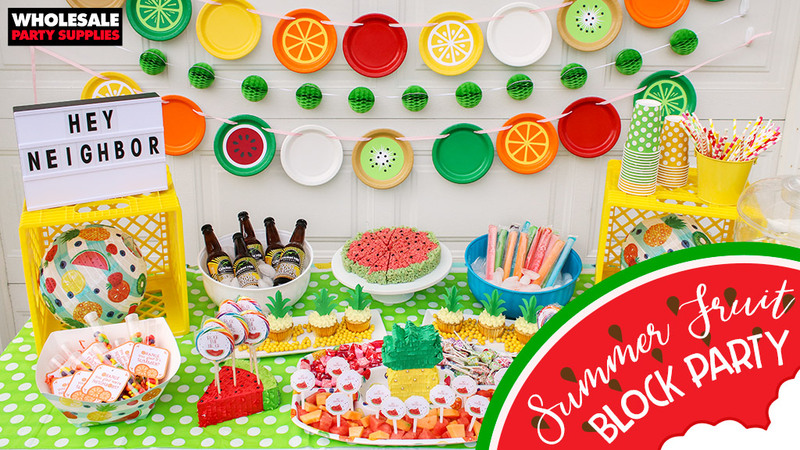 Click that link to check out her blog for loads of juicy party tips. 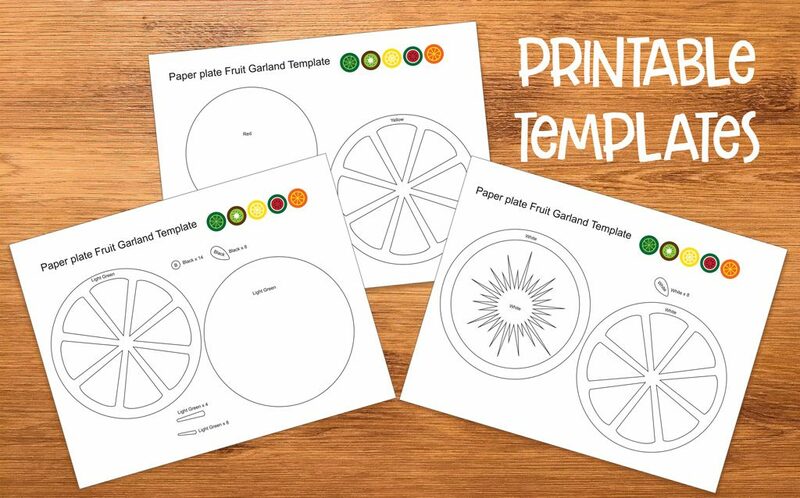 Print out your template and cut out the shapes from cardstock. 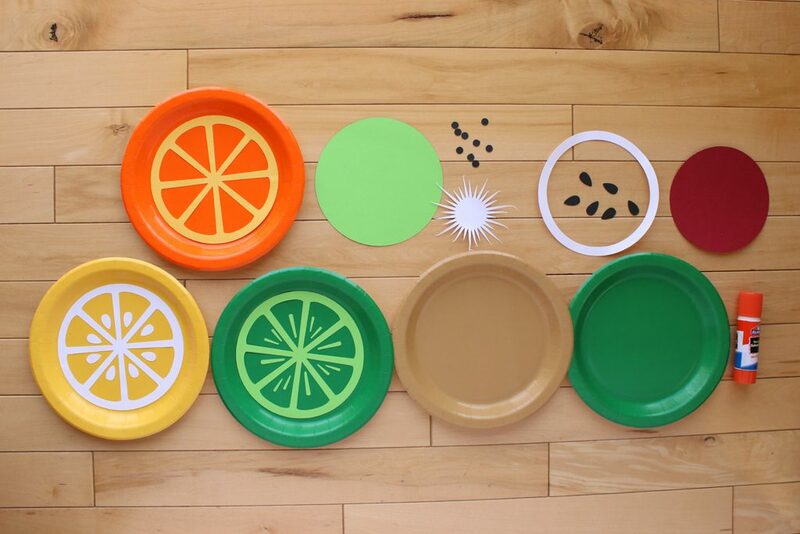 If you have a cutting machine, such as a Cricut or Silhouette, use our free SVG file for all the pieces you need for this project. 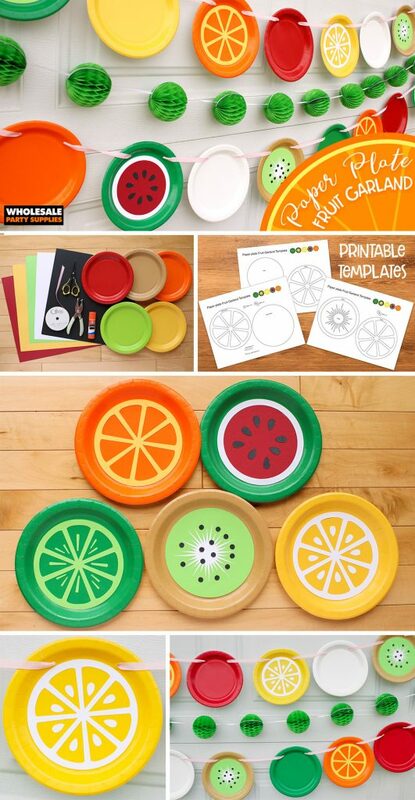 Adhere the die cut pieces onto the paper plates to create your watermelon, orange, lemon, lime and kiwi fruit paper plates. 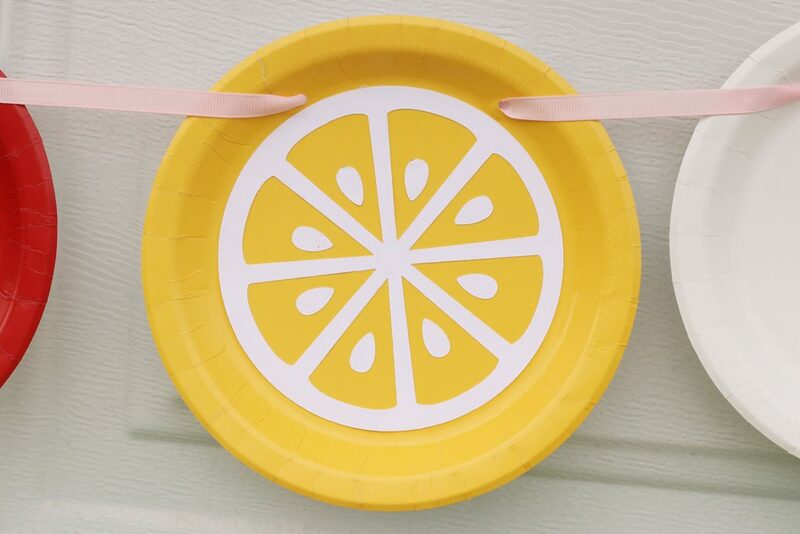 Use your hold punch to add holes at the top of the plates and thread ribbon through. 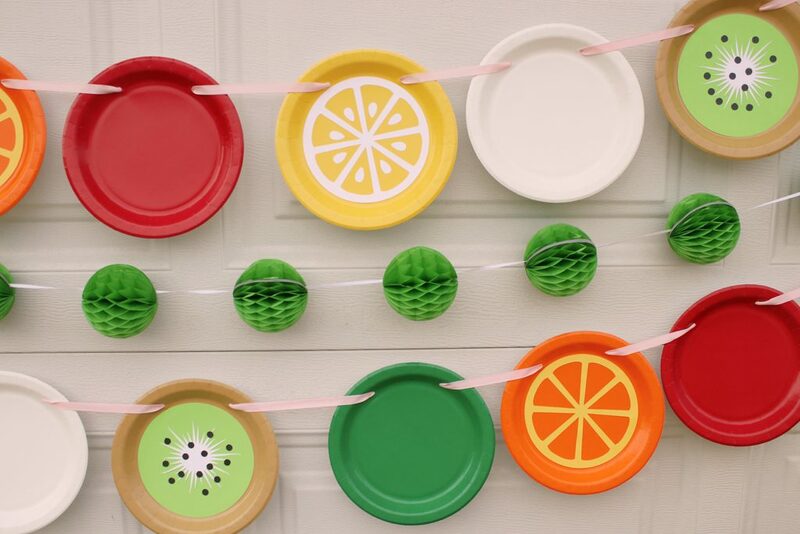 Hang your garland like a banner over your buffet table- a sure sign of the sweetness you can serve up at the Summer Fruit Block Party. 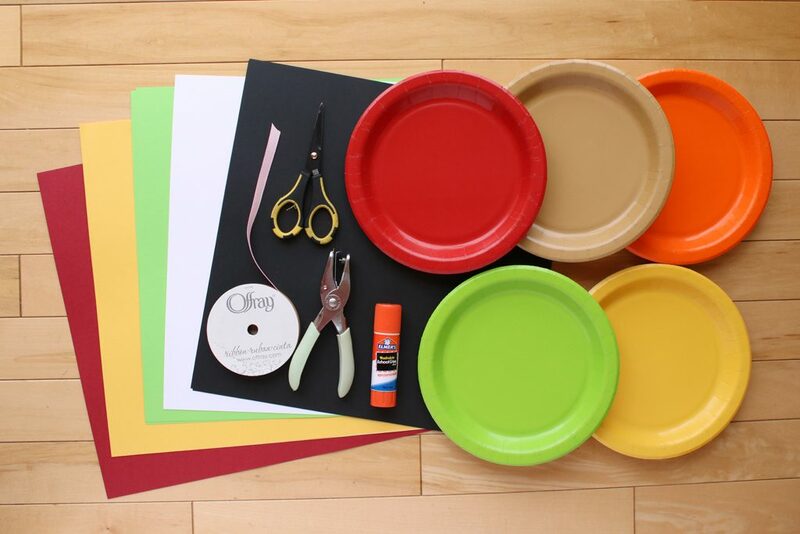 Find us on Pinterest, Facebook, Twitter, and Instagram to keep up with all of our party ideas and DIY projects!